39-year-old former zilla parishad member Seliam Wangsa was killed last Saturday at Nginu village in Longding district. According to his friends, he was killed while he was on his way back home after dropping a friend who had been picked up and tortured by members of one of the NSCN factions. People say they know at whose behest he was killed, but they are not sure which faction of the NSCN carried out the killing. Wangsa was a BJP supporter, his friends say. People also know that there are guns in Nginu village. Last Friday, 52-year-old Jaley Anna from Kheti village in Tirap district died after being tortured. Before he passed on, Anna identified his torturers as members of the NSCN (IM). The insurgency affected districts of Tirap and Longding are used to deaths and bloodshed. With several factions of the NSCN active in the districts, and the Indian Army there to counter them, there is no escape from violence for the common citizens. The people remain caught between the Indian Army and various factions of the NSCN. Though the Narendra Modi government reached an agreement with the NSCN (IM) for a lasting Indo-Naga solution in 2015, there has been no letup in violence in Changlang, Tirap and Longding districts. 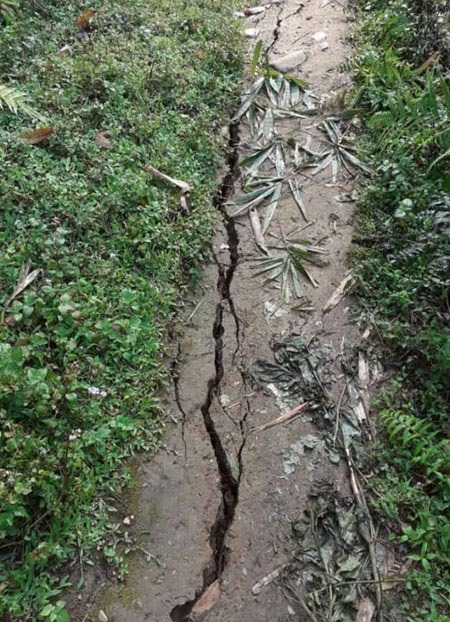 The various Naga groups have continued to engage in turf wars, as well as in armed conflicts with the Indian Army, resulting in several casualties and injuries. The NSCN (IM) has been at the fore when it comes to engaging in turf wars and fighting the Indian Army. While the framework agreement may have worked elsewhere in the region, it has been inconsequential in the three districts as violence continues. It’s been more than three decades since the three districts became a battlefield for various underground organizations, and the latest killings are another reminder that the situation has remained the same. The NSCN (IM) and the NSCN (K) have always had a major role in who gets elected, but such blatant killings at the behest of politicians should sound a warning bell to the Centre and the state. Some of these politicians will end up in the legislative assembly. And these politicians, if elected, will not serve their constituents or the state; they will serve the various factions of the NSCN. While the rest of the state watches in silence, for three decades the NSCN factions – particularly the NSCN (K) and (IM) – have not only made a living out of extortion and intimidation but have also interfered in the electoral politics of the districts. This time, too, apart from money, the gun will be a visible weapon during the elections in Tirap and Longding. In a rare show of outrage, the people of Khonsa took out a rally last Saturday. The number of people that turned out for the rally should be a message to various groups of the NSCN that they should not overstep their limits. The Khonsa protest should be a message that enough is enough. It is time, particularly for the NSCN (IM), who are extortionists masquerading as freedom fighters, to stop the torture, intimidation and killing of the local people.